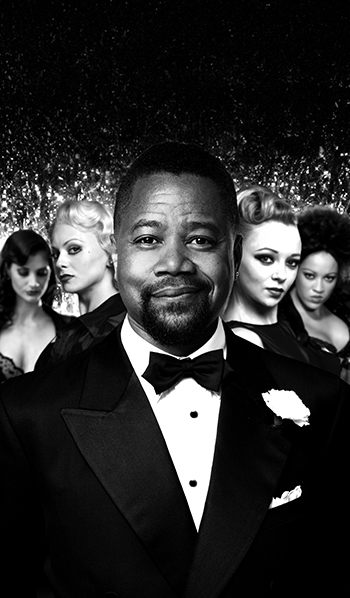 Oscar winner, Cuba Gooding Jr will be making his British stage debut and his musical debut as smooth-talking lawyer Billy Flynn in the multi award-winning Chicago at the Phoenix Theatre in London’s West End. Following a successful UK and international tour, and after a 5½-year absence from London, Chicago, the winner of six Tony Awards, two Olivier Awards and a Grammy, will begin performances at the Phoenix Theatre on 26 March 2018. Cuba Gooding Jr’s breakthrough role was as Tre Styles in Boyz n the Hood (1991), followed by A Few Good Men (1992), before winning the Academy Award for Best Supporting Actor in Jerry Maguire (1996). Later films included As Good as It Gets (1997), Men of Honor (2000) as Carl Brashear, Pearl Harbor (2001) as Doris Miller, American Gangster (2007), The Butler (2013), and Selma (2014), playing civil rights attorney Fred Gray. In 2016, he portrayed O.J. Simpson in the FX drama series The People v. O. J. Simpson: American Crime Story, for which he received a Primetime Emmy Award nomination for Outstanding Lead Actor in a Mini-series or a Movie. In 2013, he made his Broadway theatre debut alongside Cicely Tyson and Vanessa Williams in the Tony Award-nominated production of The Trip to Bountiful. Further casting for Chicago is to be announced. Since it opened in New York in 1996, Chicago has played in 36 countries worldwide, and been performed in English, Dutch, German, Swedish, Spanish, Portuguese, Russian, Italian, French, Danish, Japanese and Korean. It continues to play on Broadway, where it recently celebrated its 21st birthday, and around the world in multiple languages. It is the world’s longest running American musical.